FUNCTION SPACE ADDITIONAL INFORMATION: •	Meeting rooms may not be assigned until 7 days prior to the function and are subject to change. •	Hotel reserves the right to re-assign space in order to accommodate all in-house groups based on final guarantee numbers and suitable to the anticipated attendance. 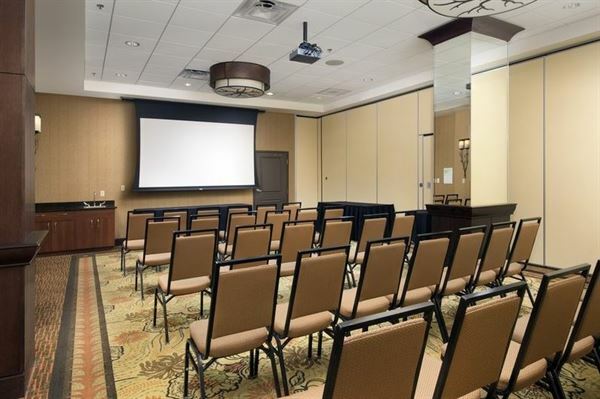 •	Meeting rooms are only available until the specified time listed above. This includes time needed to remove all meeting materials from the room. •	Meeting rooms are not available on a 24-hour hold unless noted in contract. •	Last minute changes within 24 hours of event may be subject to a labor charge at prevailing Hotel labor rates. •	Menu prices are subject to change therefore banquet food and beverage prices cannot be guaranteed more than six (6) months in advance of event and are subject to applicable service charges, state and local taxes. BILLING ARRANGEMENTS: Direct Bill: If Group requires direct billing, credit arrangements in the form of a credit application must be approved through Hotel’s Accounting Department at least 30 days prior to Group’s Event. Once credit has been approved, a Group Master will be established and Group agrees to make immediate payment upon receipt of statement. Final payment of the total amount due to the Hotel will be paid in full, within thirty (30) days of presentation of invoice. Interest will be charged thereafter on the outstanding total amount due. Credit Card or Company Check: Group has indicated that it will be paying its obligations to the Hotel via credit card or Organizational check. If the Group wishes to pay by credit card, the Group shall provide Hotel with credit card authorization information at time of signature of this agreement. Group agrees that the Hotel may charge to this credit card for any payment as agreed upon and outlined in this agreement. If the Group will be paying by check the group must provide payment 7 days prior to the estimated total of all charges due. If Group requests payment by credit card, the credit card information must be submitted to Hotel’s Accounting Department or adhere to the outlined deposit policy below. CANCELLATION: In the unlikely event that the Group finds it necessary to cancel the Event at the Hotel, Group realizes that it will create a loss for the hotel that will be difficult to calculate. Therefore, Hotel and Group agree that liquidated damages will be charged based on the time to arrival of the cancellation. •	Cancellation by Group occurring between time of acceptance of agreement and 366 days prior to arrival, liquidated damages in the amount of forty percent (40%) of Minimum Banquet Food and Beverage Revenue will be due, plus applicable taxes. •	Cancellation by Group occurring 91 to 365 days prior to arrival, liquidated damages in the amount of forty percent (40%) of Minimum Banquet Food and Beverage Revenue will be due, plus applicable taxes. •	Cancellation by Group occurring 8 to 90 days prior to arrival, liquidated damages in the amount of sixty percent (60%) of Minimum Banquet Food and Beverage Revenue will be due, plus applicable taxes. •	Cancellation by Group occurring 0 to 7 business days prior to arrival, liquidated damages in the amount of ninety percent (90%) of Minimum Banquet Food and Beverage Revenues including Meeting Room Rental will be due, plus applicable taxes. Room comes with complimentary Wi-Fi, water station, TV with connections, and guest parking. Room comes with complimentary Wi-Fi, water station, and guest parking.